The Biwaa S’Trout 6.5″ Swimbait is a multi-segmented Swimbait comprised of 8 Segments and offers increased flexibility. The Biwaa STrout 6.5″ is constructed from solid plastics (free of Phthalates and BPA), and jointed with a Mesh Woven Fabric. 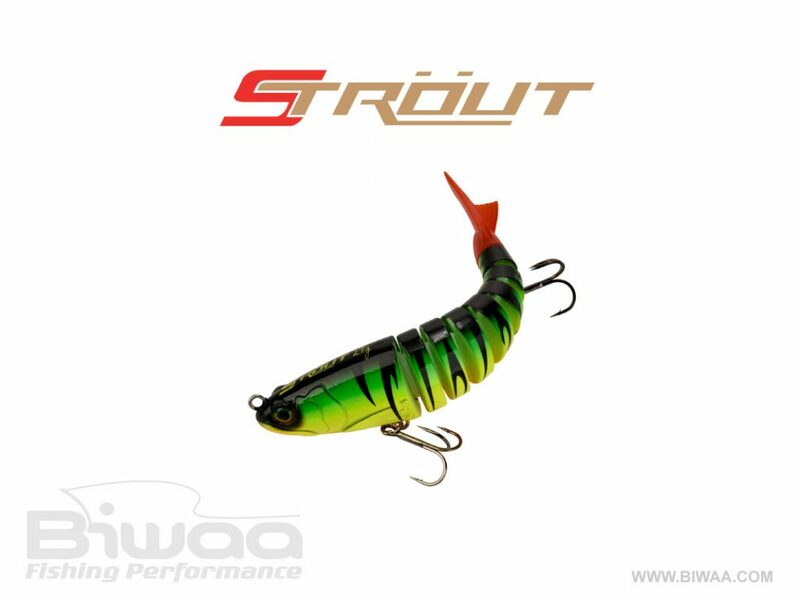 The Biwaa Strout hard lure is rated to withstand 40 pounds of break strength. 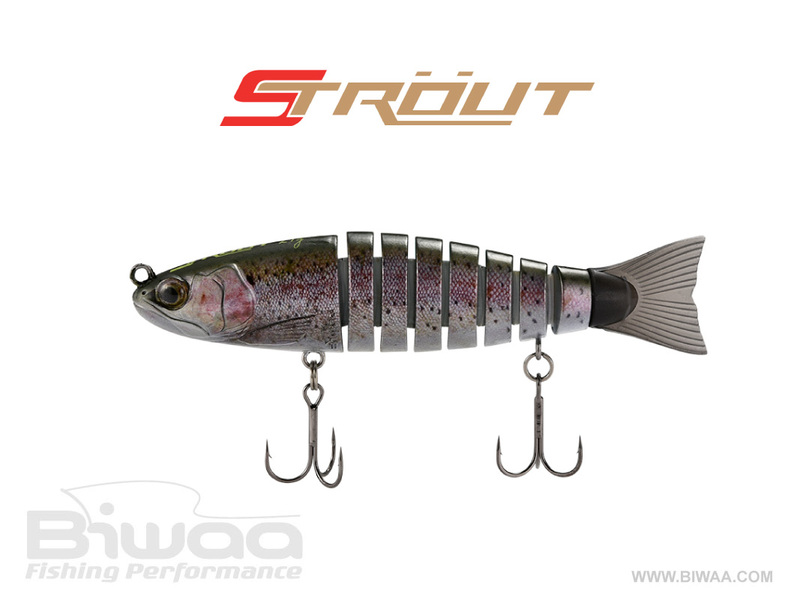 Built with premium components including: stainless steel split rings (pressed to reinforce strength), and Japanese steel- ultra sharp black nickel treble hooks. 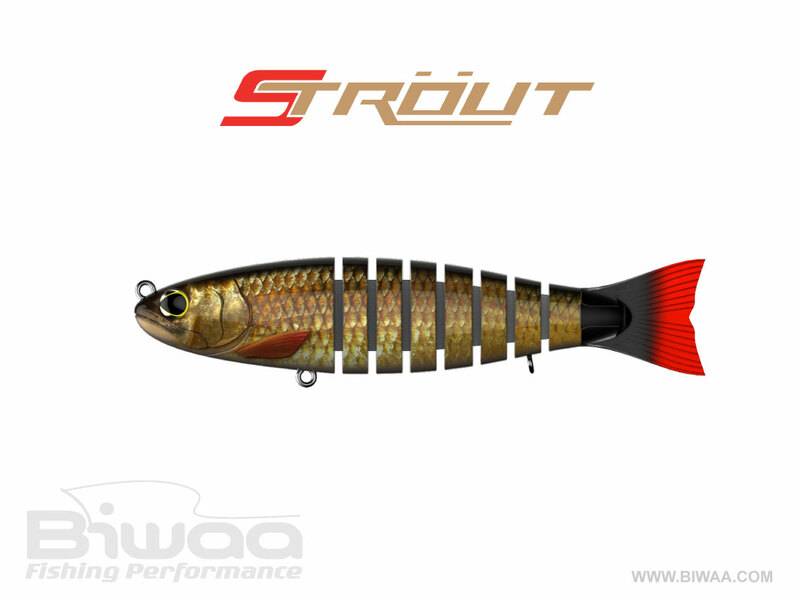 Biwaa STrout 6.5″ is an efficient hard lure of Biwaa Fishing Performance, the pro fishing shop for the best innovative fishing lures & fishing gear The design of the STrout allows the head to track straight with the body following in an ultra-realistic swimming action. The shape of the STrout closely resembles a trout, hence the name, and is the go-to choice for bass anglers targeting trophy fish. By changing the retrieval speed and rhythm, you can easily imitate an injured baitfish. 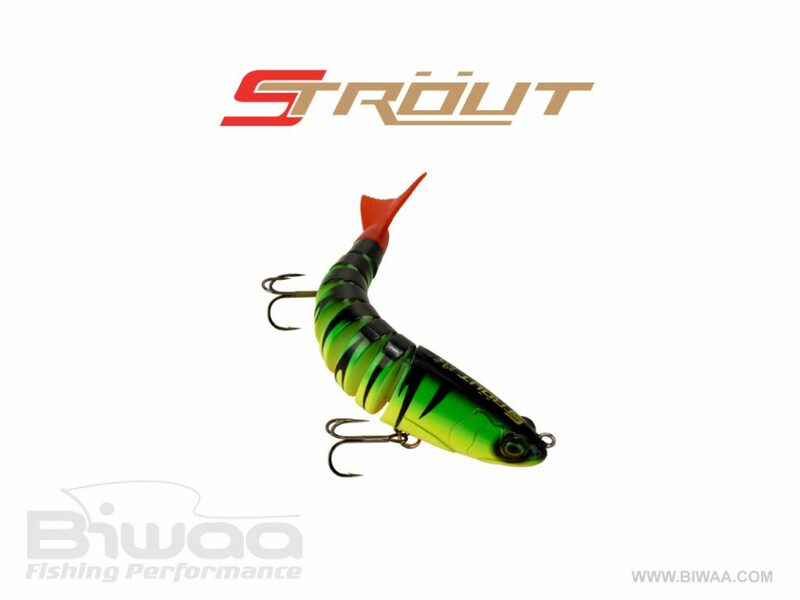 Whether you are looking for a gentle S action, or a tight wobble, the STrout’s design allows for a versatile presentation to match the conditions your fishing. 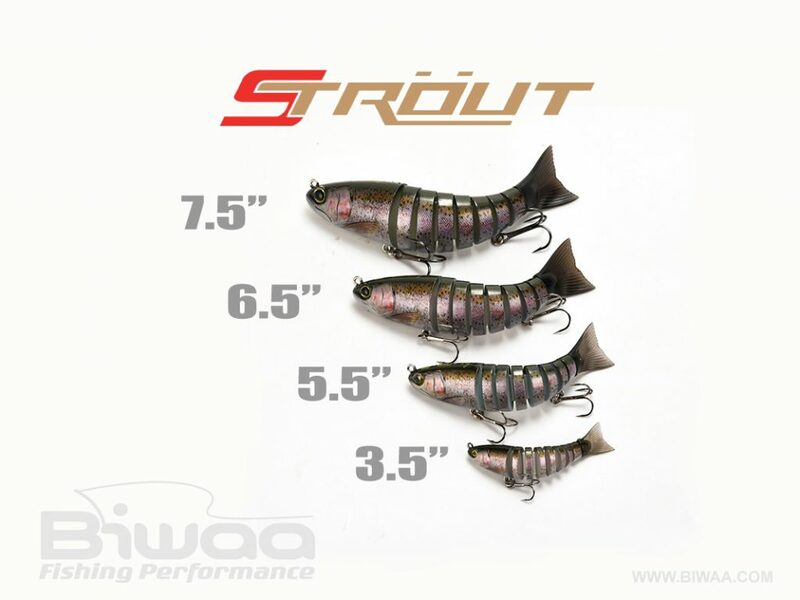 If your looking for a lifelike swimbait that will fool even the most wary fish, look no further then the STrout. 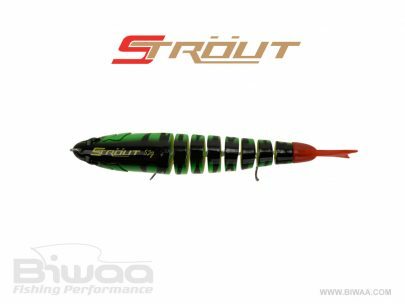 Features Solid Plastic Body Solid plastic segments, carefully molded around our mesh woven fiber are designed provide you with a nearly indestructible product that will accompany your success for years. Meshed woven fabric The innovative use of meshed woven fabric gives to the swimbaits a realistic and lifelike S-Swimming action. 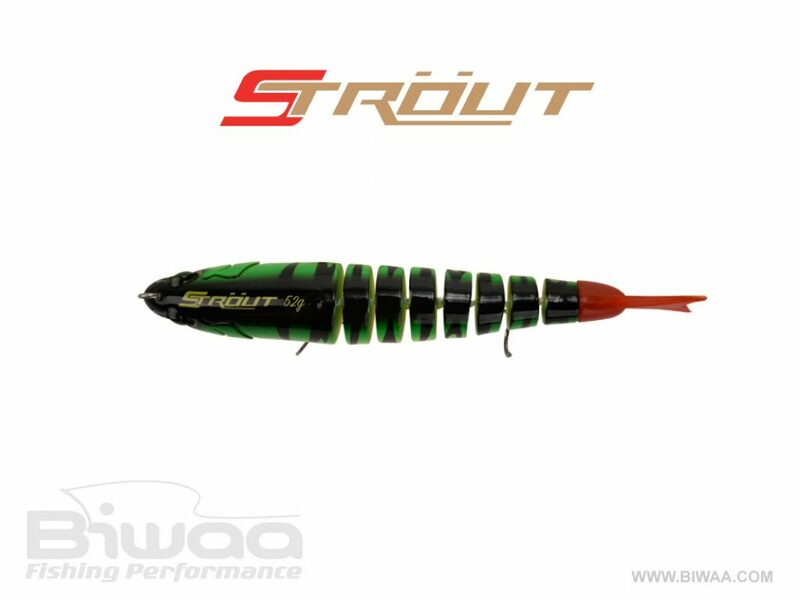 It also gives to the lures durability, providing a break strength of over 40 pounds. Premium components All swimbaits are assembled with the top of the line components. The treble hooks are forged with Japanese Steel, ultra sharp and black nickel finished. The split rings are stainless steel and pressed to re-enforce their strength. Realistic Photo Finish Our photo finish process starts with pictures of wild forage fish, taken in the field. 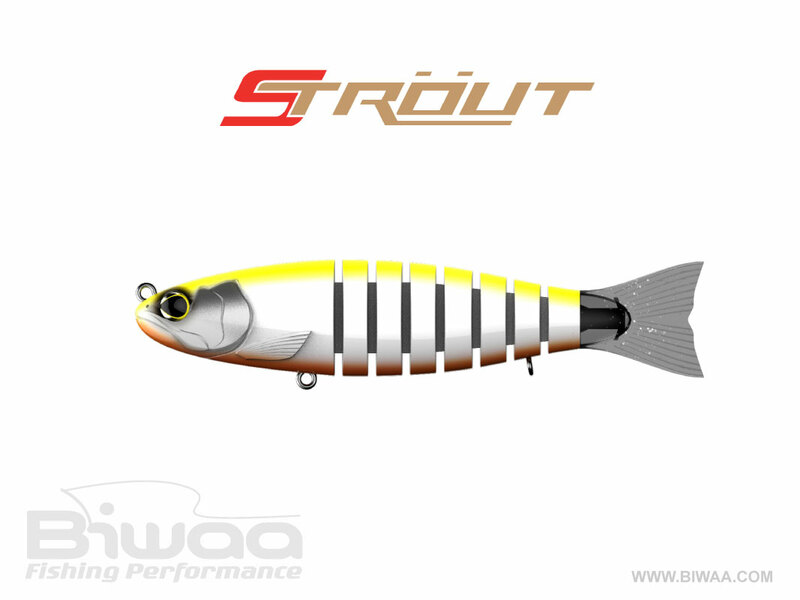 We then reproduce it, in detail, on the surface of the swimbaits to get as close to “match the hatch” as possible. Phthalates Free Formula All of our lures are Phthalates & BPA free, crafted from high quality plastics sourced from various suppliers around the world. Craftsmanship In order for us to create such lifelike and detailed color schemes, each lure undergoes a multi-layer painting process. 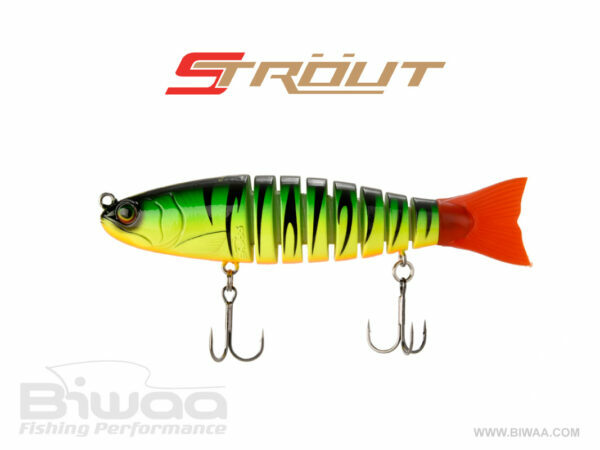 All of our swimbaits are airbrush painted one at a time, and then finished with 2 layers of varnish to protect the paint and create a durability that can withstand the rigors of fishing.